Click here to find out where to level up from levels 1-220. This guide will help you find the best places to level to maximize your experience. Welcome to Celtic Heroes! A land of myth, magic, and…well... money. During your time here, you will find that spending a lot of money will get you further in the game, quicker. However, when you begin playing you start out with no money, and will need to establish yourself. This guide will help you upgrade your gear as cheaply as possible, so that you are spending the least amount of gold on gear. By spending less money you will be able to save, and spend money on luxury or platinum items, which are necessary at higher levels in this game. Click on the links below to access hot topics on how to level up cheaply! Onyx/Obsidian Armor Guide - COMING SOON! Meteoric Weapon Quest - COMING SOON! Blackstone Weapon Guide - COMING SOON! Do not beg for gold!! As tempting as it is to ask strangers for money (especially high level strangers), this is particularly frowned upon by most players. You may find someone who will take pity on you and give you some money, but the vast majority of people will shun you. Once you get the reputation as a beggar, not many people will want to help you. And one of the ways to level up cheaply is to get help from other people. There are two types of money in Celtic Heroes: gold and platinum. Gold is the standard currency of the game. It can be obtained by defeating any monster. Platinum is the type of money that you get by paying real life money for. Using iTunes gift cards, or your credit card, you can buy platinum in the Item Shop menu, which will grant you exclusive access to items in the item shop. There are ways to get free platinum, which will help you throughout the game. I suggest doing this early, so that you have these benefits throughout your stay here. Once you get some free platinum, some items I suggest getting are backpack expansions, sigils of health/energy, and extra hotbar spots. I suggest buying these, because these items can only be bought with platinum, and are non-tradeable. Other platinum bought items can be traded and purchased for gold from other players that buy platinum, and sell platinum bought items to other players for in game gold. 1) Backpack Expansions – Throughout the world are placed leystones. They allow you to fast travel to these locations without having to run there. It is key to use these when hunting for bosses, because you want to get there before anyone else does. Your backpack starts out with 10 spaces. If you are carrying over 10 items in your backpack, you will not be able to fast travel using leystones. Backpack expansions increase the size of your backpack, allowing you to carry more items as you travel leystone to leystone. Although buying backpack and bank expansions is easy with plat, a better option would be to buy them from another player. Shout that you are buying backpack expansions, and it's a pretty good bet you will find a seller. 2) Sigils of health/energy – When you are out of combat, you will naturally regenerate health and energy. Sigils increase the rate that you will regenerate this at, but only while out of combat. This is useful though because you will be able to go from mob to mob quicker because your health/energy will regenerate faster. The more sigils you buy, the faster you will regenerate per tick. These sigils will stay with your character throughout your journey here, so they will always be helping you. Unfortunately, at this time it is not possible for you to see how many you have bought over time. They are however cumulative, and if you choose to buy some now, and some later, they will add up to increase your regeneration rate quicker. Sigils can also be purchased from other players, but it is harder to find sellers and they are pretty expensive for the amount of sigils that you will need. Don't be discouraged, and buy them slowly as you have gold available. 3) Hotbar slots – On the right of your display, is your hotbar. This is where you equip skills and items for use in combat. Purchasing extra hotbar slots will allow you to equip more skills and items in combat so that you can fight more effectively. What you choose to spend your platinum on is your own choice. But choose wisely, for each of these items will help you in their own special way. Different vendors offer different prices for the stuff that you sell back to them, from drops that you get from monsters while leveling up. The best place to sell vendor trash to is the skill book merchants in Farcrag, and the bandage wounds seller in Lir's on the bridge by Heroes Landing. Click here to see the full guide to vendoring items. It will show you the best places to sell all your items! At low levels, you are able to achieve a lot in the game by yourself. At about level 20, you will find that it is much easier to find help when trying to achieve your goals. Questing will help you get free gear, but you will need help to get them. This means forming relationships with people, and joining a clan. Not all clans are created equal. There are good and bad clans. Try to find one that fits your play style, where you have friends. Friends will be instrumental in gearing up cheaply. They will give you help on quests and leveling, while selling you gear cheaper than shop prices if you choose to buy from them. There are many quests throughout the world that you can earn free armor from, if you are the right level. Unless you buy the quest items from other people, these quests will technically cost you no money to complete. Strap in! This is going to be a long lesson. You will start out with armor and a weapon. It’s not good, but it’s better than nothing. The stating quest line, beginning at the beach, will get you your first set of armor. By the time you complete it you will have upgraded your chest piece, leg armor, wrists, boots, helmet, weapon, and also gain a ring (Signet of Lir) and a charm (Blessing of Belenus). These items are pretty good, but you are going to need to upgrade them at some point. After finishing this quest, you should be about level 20+ and ready to head into Dustwither Catacombs. In the course of your questing, you will also be leveling up and getting various weapons and armor from defeating enemies. You may use these if they are better than what you already have, and if they are appropriate for your class (warrior/rogue/ranger/mage/druid). Good places for gear drops at this level are the Crookback throne room, and the area around Avatar of Donn in Dustwither Catacombs. They will mainly drop from enemies with 3 or 4 stars above their heads, so bring a friend to help with them! Dustwither Catacombs is a good place to get armor for your level range at this point. Instead of getting armor through a quest, you will get them by defeating bosses in the three throne rooms: the room furthest North (Avatar of Donn/Incarnation of Donn), furthest West (Arch Disciple Malruna), and furthest East (Arch Disciple Ducarious/ Arch Disiple Kiara). They have a chance of dropping the same armor that is sold in the castle by Angus Mac Lir, but more powerful. While this armor is better for spell users, it is still a great free armor that you can earn by questing. These quests will be available at the MacCroin Camp in Shalemont at level 30. You will need to loot drops from mobs in certain areas, and turn them in for this armor. Click the link below for more details. 5) Shalemont Ravine – Defector Quest and more! There are many free weapons to be obtained from the bosses of the Defector quest obtained from Kail the Defector, at the MacCroin Encampment. Each boss drops a different type of weapon, with a variation of a lesser type of weapon as well. Regular mobs in Shalemont Ravine also drop Connacht weapons such as spears, swords, daggers, spears, and wands. These weapons are fairly common, and should be easy to obtain given a little effort. There are no mobs that drop armor in Shalemont. There are also no druid weapons in Shalemont. Here is a guide to the defector quest, including all weapons that you can get as drops. c) Darkshadow Armor quest – This quest is organized exactly like the DuskshadowArmor quest that I described previously, with different, more difficultmonsters. Click Here for the full guide. a) Fairy weapons/armor – the fairies in Stonevale have the chance to drop swords, bows, or wands. They also can drop some cloth armor. d) Bloodgrove Druids – These druids have a rare chance of dropping different weapons. The most common ones are Bloodgrove Mallets, Bloodgrove Clubs, and Bloodgrove Staffs. More rare ones have a possibility of dropping (for example: Greatsword of theSun), but they drop so rarely that you should not count on getting one. e) Frostroot Druids – Three star frostroot druids, and four star frostroot elders have a chance of dropping lower tier ancient weapons. Again, this happens so rarely that you should not count on getting one of these weapons. The Warden quest will provide you with the first tier of class armor and weapons, starting with the gloves at level 60, and ending with the weapon at level 80. This will require you to get a number of disc fragments from Stonevale bosses, which are all in Bloodgrove. This will be a long, arduous quest that you will accomplish over the course of many weeks or months. It will require you camping out for bosses to get the discs for this quest. It is possible to buy them from other players if you have the money. If not, you can try to earn them yourself by fighting these monsters. The good news is that these bosses are located in the same area that you will be leveling up in, and are included in the Evil in Stonevale quest. While this armor is better for spell users, it is still a great free armor that you can earn by questing. This armor is more powerful than the Duskshadow Armor. These quests will be available at the Farm in Stonevale at level 60 They are daily quests that require you to defeat certain spirit bosses in the Sewers, Shalemont, and Stonevale. They require seals and shards which can then be turned in for armor. Shards are dropped from the spirit, and shards are obtained through a quest given by Deschan the Sage. You are only able to get one shard a day. The monsters are hard, so be sure to bring friends. Upon successful completion of the Warden Armor quests, you have access to the Meteoric quest line, which will upgrade the Warden armor to Meteoric. This will require you to defeat bosses that exist throughout all the zones that you previously visited, and get class specific items for your upgrade. This will require more effort than the Warden quests, and will take longer. Again, it is possible to buy these items from other players if you have the money to do so. If not, you can earn these items by defeating these red bosses, making this armor technically free. This quest is a separate quest that you can get from the blacksmith in Highshore village once you obtain the Warden weapon. It will require you to get a three Rites of Morrigan from the Priestess of Morrigan in Carrowmore Tunnels, a Sea Map from the pirate boss in southern Fingal’s Cave, and defeating three smuggler bosses in the eastern part of the sewers. This will be easier than the other Meteoric quests, because you can buy the Rites and the map from other players, but you will need to defeat the smuggler bosses yourself, all of which are level 105. You can earn all of these yourself though, making this weapon upgrade free for you. b) Blackstone boss weapons – By the Fortress, there is a Blackstone boss that will drop a Onyx weapon. You can determine what weapon he will drop by looking at what he is holding. These weapons are powerful, and have a random chance of dealing large amounts of damage. However, there is a limited amount of times that these weapons candela this damage, and once they are used up they disappear. This boss will need a small group to attempt. e) Aggragoth Drops – The major boss of the Otherworld, a level 150 raid type boss that drops Tridents, rings, and bracelets. You will require many organized, experienced adventurers to tackle this mob. There is strategy involved that will make this easier, but is beyond the scope of this tutorial. You will most likely need to be a member of a major clan in your world to be included in this fight. There are a few quests in the Otherworld that will give you the opportunity to obtain free quest gear with a little bit of effort. Here are the three quests that you will need to complete. a) Faerieland Quest – This will require you to defeat many small bosses located throughout the Otherworld. The reward will be a random Fairie weapon for your class that is similar to the Blackstone Onyx weapon, but not as powerful. It will also disappear when the weapon charges are used up. This quest is repeatable, so you can receive multiple weapons if you so choose. b) Onyx and Obsidian Armor Quests – At the Fortress Outskirts leystone, Jowan Steelhand will give you the quest for the onyx and obsidian armor. This armor is very good for each class, and is comparable to the vendor bought armor in the Otherworld. It will require you to cross the bridge and defeat Blackstone Cultists and receive rune stones. The first step of the quest requires you to turn in 5 rune stones of each type to get the full set of onyx armor. The second step to receive the upgraded obsidian armor will require you to turn in 10 rune stones of each type. To finish this quest chain, you will need 15 rune stones of each type. c) Spiritshadow Armor Quests - While this armor is better for spell users, it is still a great free armor that you can earn by questing. This armor is more powerful than the Darkshadow Armor. These quests will be available at the Otherworld leystone at level 100. You are required to gather mob drops from different areas around the Otherworld. Click the link below for the full guide to this quest. d) Test of Regulus – This quest requires you to defeat each of the major Otherworld bosses, or their minions. The prize is a charm that adds evasion abilities. By the time you are able to complete this quest, you will most likely be around level 150.
e) Frozen Armor Quests – Upon successful completion of the Meteoric quests, you have access to the Frozen armor quest line, which will upgrade the Meteoric armor to Frozen Meteoric. This will require you to defeat major bosses that exist throughout the Otherworld, and get class specific items for your upgrade. You will need different crests and orbs of frostweaving dropped from these major bosses. Again, it is possible to buy these items from other players if you have the money to do so. If not, you can earn these items by defeating these bosses, making this gear technically free. These bosses are difficult, and will require an experienced group of level appropriate adventurers. At level 140, you will be able to access the Beastbone armor quests.This requires you to gather bone shards from the Boggans in Carrowmore. Click here for a guide on how to complete this quest. Skill rings for the following skills can be dropped from enemies in Carrowmore. There is a good chance of getting them from the various money bosses stationed in the Boggan and Firbolg caves. But the easiest and most reliable way of getting skill rings is by fighting the Warbeast Trainer. He is a level 140/5* mob that is located in one of the beginning caves of the Boggan area. He is surrounded by Warbeasts, but he is not difficult for a seasoned group of players. He spawns every 15-20 minutes, so it is not hard to farm rings from him. At level 150 you will have access to the Dragonlord armor and weapon quests in Carrowmore Tunnels, once you have upgraded to Frozen Meteoric. This will require you to defeat bosses that exist throughout Carrowmore Tunnels, and get class specific items for your upgrade. It is possible to buy these items from other players if you have the money to do so. If not, you can earn these items by defeating these bosses, making this armor technically free. The Bounty Board is a great way to do daily quests for XP and gold. The Elite and Seasonal Bounties are more difficult, but they will give you more XP and gold. See the guides in the links below for more details on the Bounty Board. There are many people out there looking for that one special piece of gear, or quest item that they just cannot get. As you are doing bosses, you will receive items that you do not need. One of the easiest ways to get money is to sell these items to other players. As of now, there is no auction house to be able to do this. So it requires that you keep your ears and eyes open to see if someone is buying an item that you have in your inventory. You will then contact that person, and negotiate a sale with them. Sometimes you will sell items for gold. Sometimes you will trade an item that you do not need for one that you do need. Many people have become quite rich from farming bosses. It is up to you to determine what bosses are the best to farm, and what price to sell for. Be careful though if you are in a clan. Many clans have rules about what types of drops they want sold only to clan members, and what prices to sell for. If you break these rules it is possible that you may be kicked out of your clan. Each clan has different rules that are determined by their leadership. Be smart, and find out what your clan rules are before selling items. Part of leveling up requires that you repeatedly fight monsters. Hey, you can’t fight bosses all the time! These monsters drop a low amount of gold, and stuff that you cannot equip but can only sell back to the vendor. This will get you gold if you do this, and level you up. Over time, your bag will become too full of this junk, and you will need to go to a vendor to sell it. The castle courtyard has a leystone that you can travel to regardless of how full your bag is. When you are too full, return there to sell your stuff. Over time, you will have amassed a tidy sum of money just from leveling up your character by grinding mobs. Money bosses in Carrowmore - do them all and get cash! A great way to get money is to become a merchant. This means that you look for good deals on items, and resell them at a higher price. CLICK HERE FOR A GREAT GUIDE ON MERCHANTING, AND GET GOLD FAST! 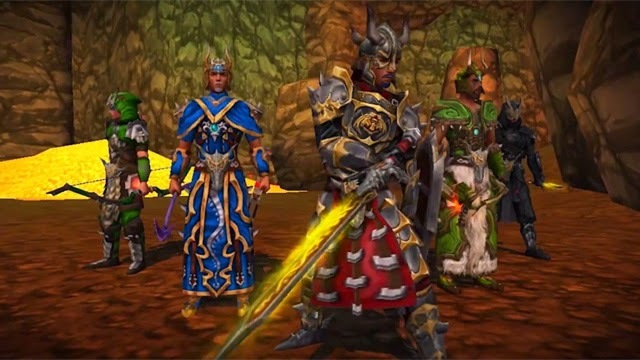 There are three luxury item vendors in Celtic Heroes, for each level range; Quigley in the castle, the Scavenger at the Otherworld portal, and Lord Ealdwin at the Fianna Encampment in Carrowmore. Each one sells very expensive items that will make playing this game easier for you. What will benefit your character most will depend on your class and your level. Some of the best items will increase your in combat rejuvenation rate. These items will refill your health and energy even while fighting. Other items add more damage to your attacks, or speed up your movement rate so you can run faster. What you buy is up to you, but I strongly suggest saving up for some of these exclusive items. However, I don’t recommend buying them from the shop unless you absolutely need to. 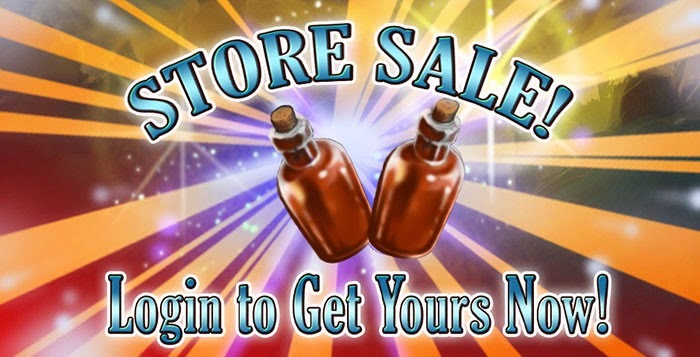 There are many other players that sell their old gear at a reduced price compared to the shop price. If you are patient, watchful, and lucky, you can pick up some nice luxury gear at a cheap price. a) Resurrection Idols – When you die, these items allow you to respawn exactly where you died, instead of having to teleport back to the nearest leystone and then run back to where you died. These are necessary to have when doing bosses. It sometimes is the difference between killing a boss and not killing a boss. Or even worse, the boss might be killed and you will not be close enough to receive the drop if you are too far away because you are running back. b) Super Knowledge Elixirs/Super Combo Elixirs – These elixirs will help you level up four times faster than normal. While the goal of grinding and leveling up is to gain gold while you level, the fact is that higher level monsters pay out more gold. The higher level you are, the better you can fight these monsters, getting you more gold. Use these wisely though, for they only last for 15 minutes each. Periodically Celtic Heroes has different events throughout the year. These bring event vendors, some of which sell pretty amazing gear. Anyone you see riding a broom, carpet, sled, or cloud has gotten them from an event vendor. The best items are the most expensive, some costing up to one million gold. If you so choose, you could spend your money on one of these exclusive items. More money will help you level up faster in this game, and many people have chosen to take the shortcut of buying platinum to get further, faster. It is possible, however, to increase your level and gear naturally by grinding, questing, and fighting bosses. It is a long arduous journey, but well worth it once you reach your destination. At the conclusion of this journey, you will find it easier to obtain money than when you started. This will allow you have access to epic vendor gear, to enable you to play better and have a better character. This will also enable you to start another character, and begin the process all over again. Only this time it will be easier, because you will have an established source of gold income to help you out. I wish you luck. Happy adventuring! This was very helpful thanks. I wish i had this when i was doing my major leveling in 2011-2012 but now im bored of leveling so i just collect older stuff and chat but yes this wouldve helped heaps! Lmao "Grind you fool! Grind!" Lmao "Grind you fool! Grind"
***Are they still doing this?